On August 20, 2016, Gord Downie stood onstage at an indoor stadium in Kingston, Ontario, and let out a scream. Americans could be forgiven for not understanding. The Tragically Hip was always a distinctly Canadian phenomenon, "one of those enormous entities that cannot be understood outside its homeland," as the Canadian writer Chris Koentges put it. The band sold more records in Canada than any other Canadian band. Many of the band's albums shot to No. 1 on the country's charts. And Downie, for more than two decades, occupied some mysterious sliver at the heart of Canadian identity. That performance—the stadium, the scream—held particular emotional weight because fans knew it was likely to be the Hip's farewell: Downie was sick. When he announced in May of 2016 that he had been diagnosed with an aggressive and incurable form of brain cancer, it was cause for national mourning. Downie had learned of the disease in late 2015, after suffering a seizure. The cancer responded well to treatment—radiation therapy, chemotherapy—but the prognosis was terminal. The singer died Tuesday night at 53. The sadness runs deep. Canadian prime minister Justin Trudeau tweeted about his sorrow—and teared up during an emotional tribute. "Gord was my friend," he said. "But Gord was everyone's friend. It's who we were." 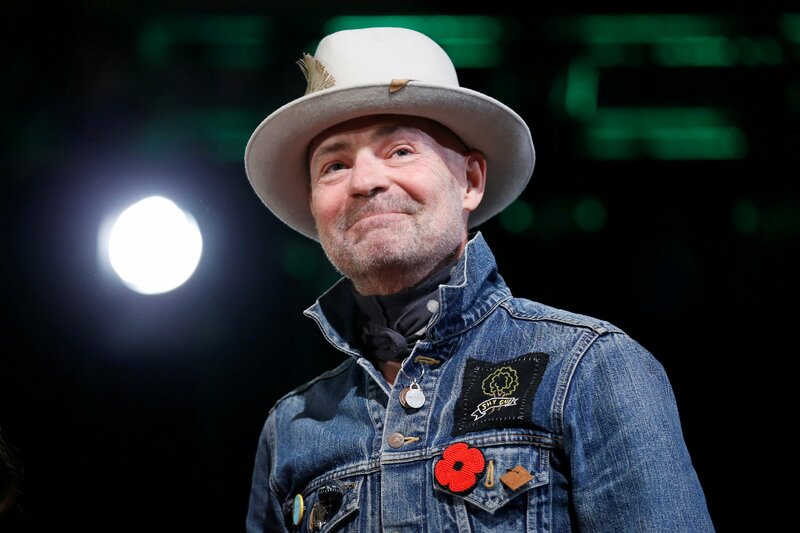 During his final months, Downie chose to say goodbye in his own unique way—and he let fans bid the beloved band farewell, too. It was brave, unusual and defiant in the face of a devastating disease. One fan described it as a "marathon of hope," and noted the spirit of generosity and transparency running through Downie's final performances with the band. The music industry has been full of enigmatic farewells lately: David Bowie, Leonard Cohen, Gregg Allman. Downie's was full of courage, music and—despite a deadly disease—sheer life.